Upon arrival at Kilimanjaro Airport, you will be greeted and transferred to Moshi. The rest of the day will be yours to enjoy at leisure. In the evening, you will attend a briefing in preparation of your upcoming trekking adventure. You will spend the night at the Sal Salinero Hotel. After breakfast you will be driven around Mt Kilimanjaro to its north-western side and after 3 to 4 hours, you will arrive at the Nalemoru Gate. After the registration process has been completed and your luggage has been divided between the porters, your adventure begins. The path runs alongside mountain farmers’ fields and pine forests before it enters the sparse mountain forest zone, where black and white colobus monkeys can often be seen. After an approximate 3 to 4 hour hike, you will reach the Simba Camp where you will spend the night. Today’s trek passes through the heather and moorland zones and the views of Mawenzi and the vast Kenyan steppes are nothing short of grand. 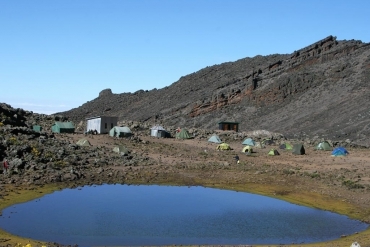 You will have lunch at the Second Cave (3,450 m) and after a short break, you will cross the undulating terrain to Kikelewa Camp. This camp boasts with incredible views and after a strenuous day’s climb, you can relax and take in its peaceful ambience. The typical senecien vegetation will soon disappear and the scenery will become more barren with the occasional rock formations. In good weather you can enjoy the breath-taking views of the Kibo and Mawenzi summits as well as Kenya’s savannah grasslands. After passing a few more rock formations, you will arrive at the Mawenzi Hut. For many mountain climbers, it is the most atmospheric camp on the mountain. 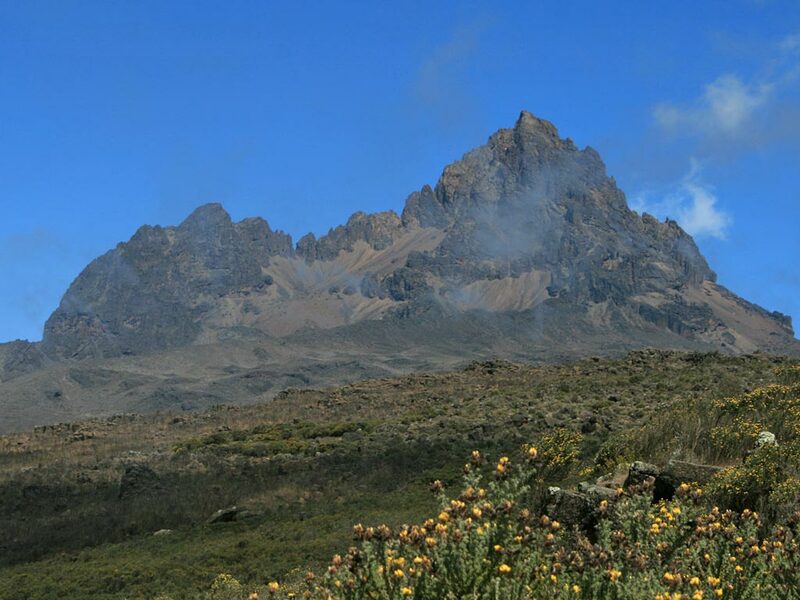 The climb begins at around 00:00 h and after a 5 to 7 hour walk on frozen volcanic ash, you will reach Gillman’s Point (5,715 m) on the crater’s edge. The sun rays will warm you while you trek for another 1 to 2 hours until you reach Uhuru Peak and finally stand on “Africa’s Roof”. The descent on the now thawed lava ash runs almost along the same route and you will arrive at the School Hut in the late morning. A warm meal will be served and after a well-deserved break, the descent continues to the Horombo Hut. 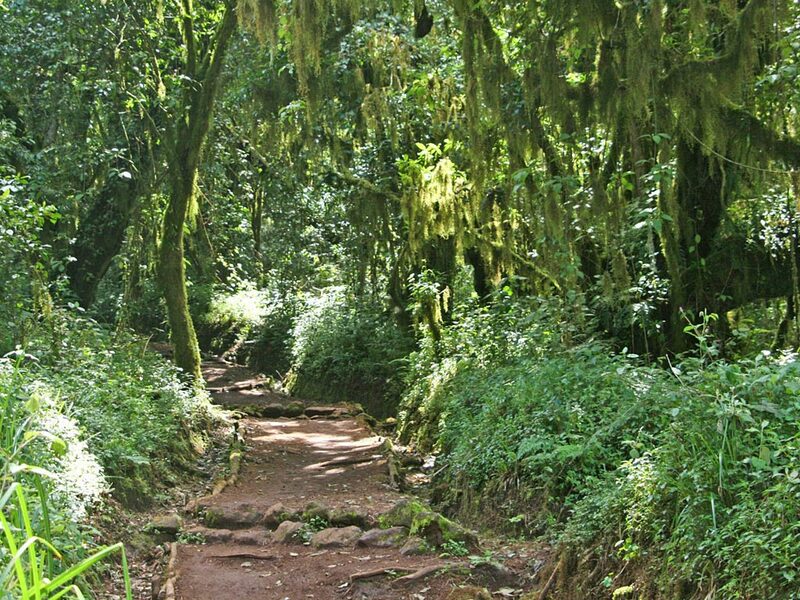 After trekking for approximately 5 to 6 hours, you will have managed the easy descent and you will return to the Marangu Gate during the early afternoon. You will say goodbye to your mountain crew and a short transfer will take you back to the Sal Salinero Hotel. Here you can take a warm and relaxing shower and celebrate your achievement. After breakfast, you will be transferred to Kilimanjaro Airport or alternatively you can go on safari or extend your stay at the beach. How big can I expect the group to be? This is a private tour and hence there won’t be any other climbers joining you. Your group will consist of only the people you chose to travel with and your mountain crew. Is there an age limitation for this climb? According to the national park authorities, children under the age of 10 years are only allowed to hike until Shira Camp (3845 m). There are no official restrictions for children above the age of 10 years but because the chances of children succumbing to mountain sickness are a lot higher than they are with adults, we recommend a minimum age of 14-16 years. Please note that children of all ages have to be accompanied by one of their parents at all times. Although there is no maximum age restriction, a medical check-up is advisable for climbers above the age of 60. Do I have to be extremely fit? Africa’s highest peak is one of the only mountains of this magnitude that can be conquered without you being an experienced alpinist. However, it goes without saying that you should be healthy and fit to master the 4-6 hour daily hikes as well as the 12-14 hour hike on the night of the summit. In addition thereto, strong willpower and endurance is required. What kind of weather is to be expected and when is the best time to travel? The warmest time with the least rainfall is between December and February, followed by the main rainy season from March until the beginning of June. Between June and October, temperatures are moderate with almost no rainfall. November is regarded as the small rainy season and daily short rainfalls with cloudy views are common. The best time to travel is between the end of June and the middle of October and although it is possible to climb Kilimanjaro in the main rainy season, we strongly discourage anyone from doing so. What can I expect from the route? 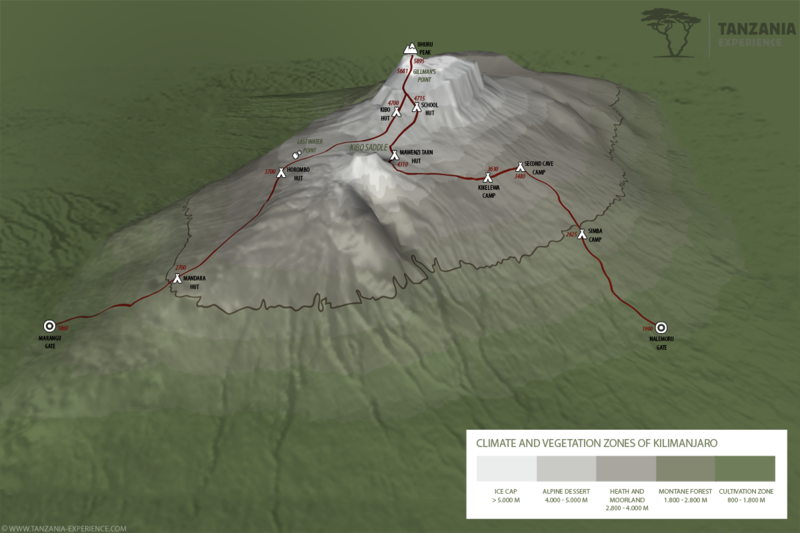 The less frequented Rongai Route departs from the north-eastern side of Kilimanjaro, close to the Kenyan border. It is the easiest camping route and repeatedly offers impressive vistas of the surrounding areas. The route is known for its little rainfall, which is especially beneficial for climbs in the shoulder season. 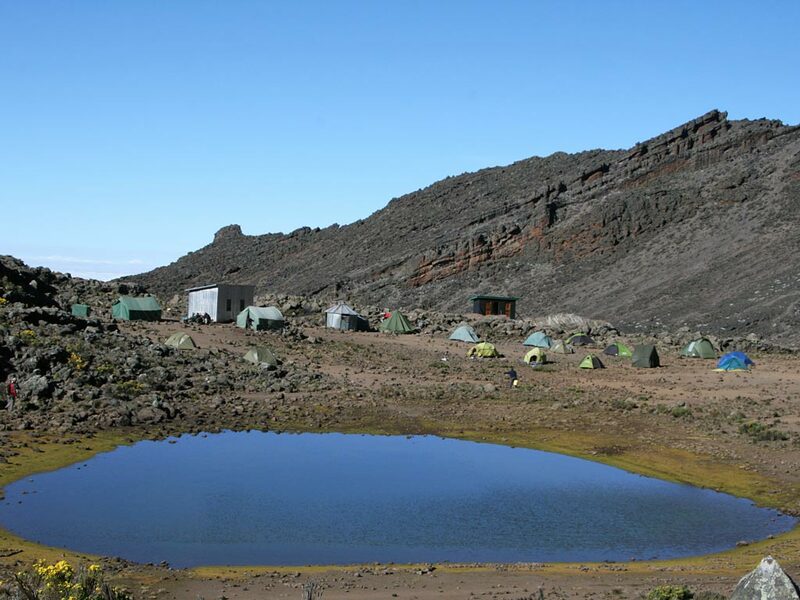 The decent follows the Marangu Route and nights are spent in mountain tents. 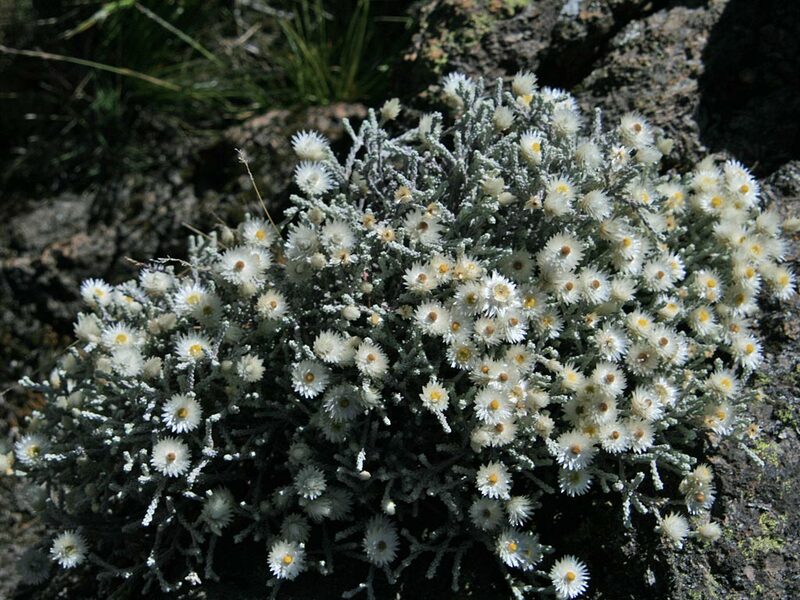 This is a private trekking tour and can therefore start on any chosen day. You will overnight in two-man mountain tents equipped with sleeping mats. Single travellers often share a tent with another group member of the same gender, but single tents can be requested at extra cost. Apart from very basic long drops (simple latrines), there are no further ablution facilities. Climbers are however provided with a bowl of warm water for their daily wash.
What meals will be provided and what type of food can I expect? Meals are included as mentioned in the itinerary. For breakfast there will be a choice of fruit, scrambled eggs, porridge, toast, jam, hot chocolate, coffee or tea. Lunch will be provided in form of a lunch box containing sandwiches, boiled eggs, chicken etc. For dinner you will enjoy soup and bread followed by meat or poultry along with starch (i.e. chips, mashed potatoes, pasta or rice) as well as vegetables. The meal will be topped off with dessert in form of fresh fruit, hot chocolate, coffee or tea and milk. While breakfast and dinner are served in a mess tent equipped with a table and chairs, lunch is enjoyed en-route. 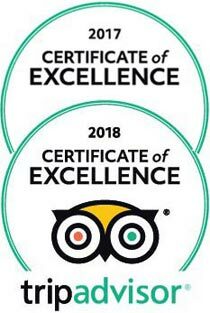 Please let us know if you have any special dietary requirements or food allergies and we will do our outmost to cater for them (only possible with advanced notification). How do I cope with the altitude? Almost everybody climbing Kilimanjaro will be affected by the altitude in some or other way. Top athletes are just as much at risk of suffering from it as are people who are out of shape. Headaches, extreme fatigue, loss of appetite and nausea are all signs of possible mountain sickness. Symptoms are mostly mild, enabling you to continue your hike and only in very few instances are symptoms more acute, making an immediate descent unavoidable. Severe altitude sickness is a serious matter and you should bear in mind that it can be life threatening and at worst lead to death. It is also important to replace lost body fluids due to physical activity by drinking enough water. We suggest two to four litres per day along with magnesium to prevent muscle cramps. What happens in the event of an emergency? Mountain rescue services in Tanzania can in no sense be compared to the ones found in the European Alps for example. If you find yourself unable to walk, you will either be carried or transported on a wheeled stretcher. As this is by all means a very unpleasant experience, it is important that you only push yourself as far as your body allows. Helicopters are hardly ever deployed as they can only land at a lower altitude. Please also make sure your health insurance covers you while travelling. If you are not adequately covered, we urge you to take out suitable travel insurance assuring all your medical expenses including rescue and repatriation costs are covered. Should I bring some extra money? Yes you should bring some extra money for tips, souvenirs and other personal expenses. If you are bringing USD, please make sure the bills have been be printed after 2004 as any earlier printed ones will not be accepted. What kind of clothes and gear do you recommend? 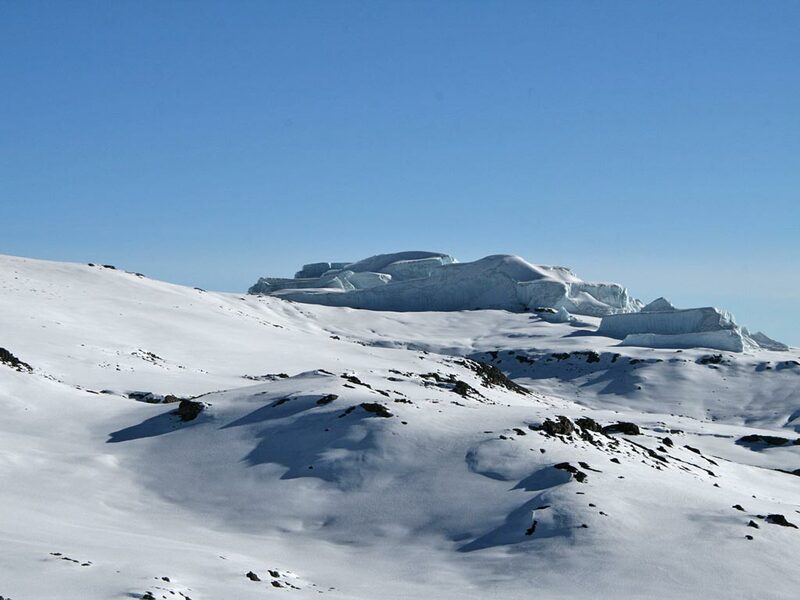 There are a few things you should pack for a Kilimanjaro climb and as the list is quite extensive, you will receive a detailed packing list from us once you have confirmed the booking. For your convenience we also rent out all essential clothing items and other gear. What are Tanzania's visa requirements? For most travellers it is possible to obtain a visa upon arrival but nevertheless, it is every visitor’s obligation to check the latest visa regulations with their respective embassies. Every traveller is responsible to be in the possession of the required travel documents. What about vaccinations and malaria? Officially, no vaccinations are required by the Tanzanian health department. However, Tanzania is a yellow fever region and thus we advise that you get yourself vaccinated for this. In general we also recommend that you have all other shots such as Tetanus, Diphtheria, Polio and Hepatitis A & B up to date. Malaria is present in Tanzania but there are no mosquitoes at high altitude. It is your own choice if you wish to take any precautionary medication, but we suggest that you consult your doctor or travel clinic in this matter.